You'll be £25.00 closer to your next £10.00 credit when you purchase The World Air Power Guide. What's this? The World Air Power Guide provides up-to-the-minute comprehensive information on the military aviation assets of no less than 169 nations. While the bulk of the book covers the air forces of the countries concerned, the author, who previously compiled Jane’s Air Forces of the World, includes details of, where applicable, army, navy, marine and coastguard airpower, together with their history and other relevant information.rnrnRevealing comparisons are made between countries’ populations, GDP and defence expenditure. These raise worrying questions as to the differing levels of national commitment to maintaining peace and security.rnrnOver the last 100 years air power has become a key component of any developed nation’s defence strategy and there is no prospect of its significance diminishing. Even insurgency campaigns such as Afghanistan, ground forces cannot operate effectively without strategic and tactical airlift capability, air-to-ground fire support and airborne intelligence gathering.rnrnWith its numerous illustrations, The World Air Power Guide provides the reader, whether professional or lay, with an outstanding array of information at an affordable price.rnrnDavid Wragg is the author of some thirty books on aviation and naval history, with dozen of these either co-published in the United States or translated. He has also been a contributor to numerous newspapers and magazines, including The Sunday Telegraph, The Spectator, The Scotsman and The Sunday Herald. His books on the Royal Navy in the two world wars have been described by The Review (Quarterly Journal of the Naval Historical Collectors and Research Association) as ‘…meticulously researched and presented in a logical and easily read format….’ A Century of Naval Aviation 1909-2009 (published by Pen and Sword Maritime, was described by FLY NAVY as ‘…very well researched and readable…’ He lives in Edinburgh. This is an A-Z exposé on the suitability of air defence systems of the worlds nations with a surprising insight into who is prepared for the worst when threat is imminent. The guide makes comparison between a countries size and population to each Governments defence budget and delivers some shocking results as the expected population increase to defence significance ratio is not always a given. David Wragg's vast knowledge of aircraft and their worth is evident in this book as he explains the competence of each countries airforces in terms of the power and technological advancement of their machines. Rather than just an itinerary of worldwide defence systems, Wragg delves into the who's and why's of the defence budget and also which countries will suffer embarrassingly in the unexpected onset of war. 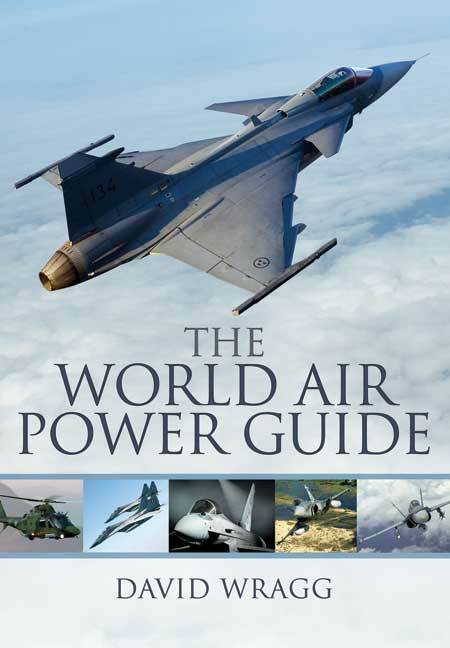 Although The World Air Power Guide is loaded with military aircraft specifications and model numbers which will be appreciated by true Military aircraft enthusiasts, David Wragg delivers his book in an accessible way for even the novice and those with a keen interest in the World Governments.